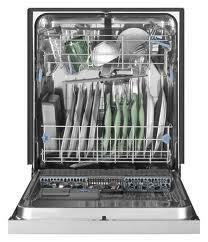 This is the summary of consumer reviews for Danby DDW611WLED Countertop Dishwasher. The BoolPool rating for this product is Very Good, with 4.10 stars, and the price range is $229.00-$295.30. The Danby DDW611WLED Countertop Dishwasher makes washing dishes easier and utilizes just 3.17 gallons of water for a normal cycle. 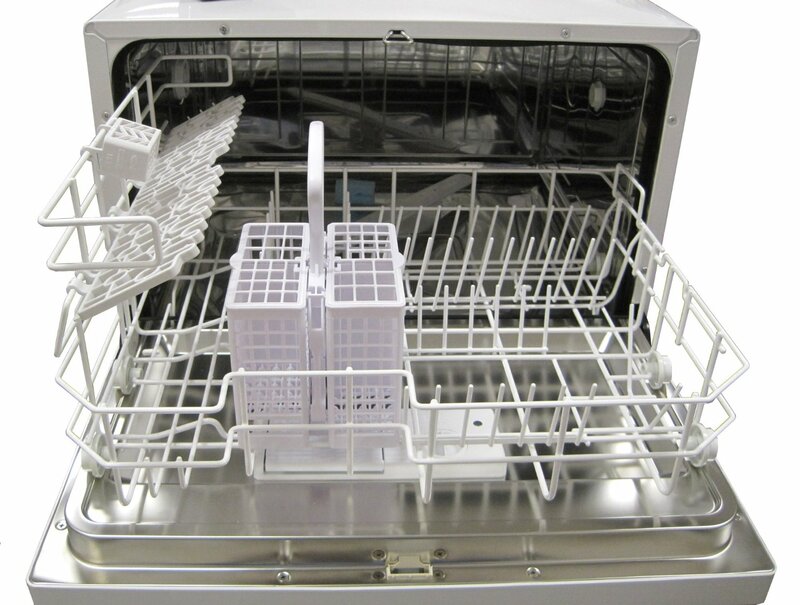 This compact countertop dishwasher is easy to install and use. It comes with six different settings which can easily be programmed and monitored via the electronic LED display. The wash cycles are soak, glass, speed, heavy, light, and normal. The dishwasher is designed for simple and quick installation as it can easily be hooked up to any tap in your kitchen without any leaks. 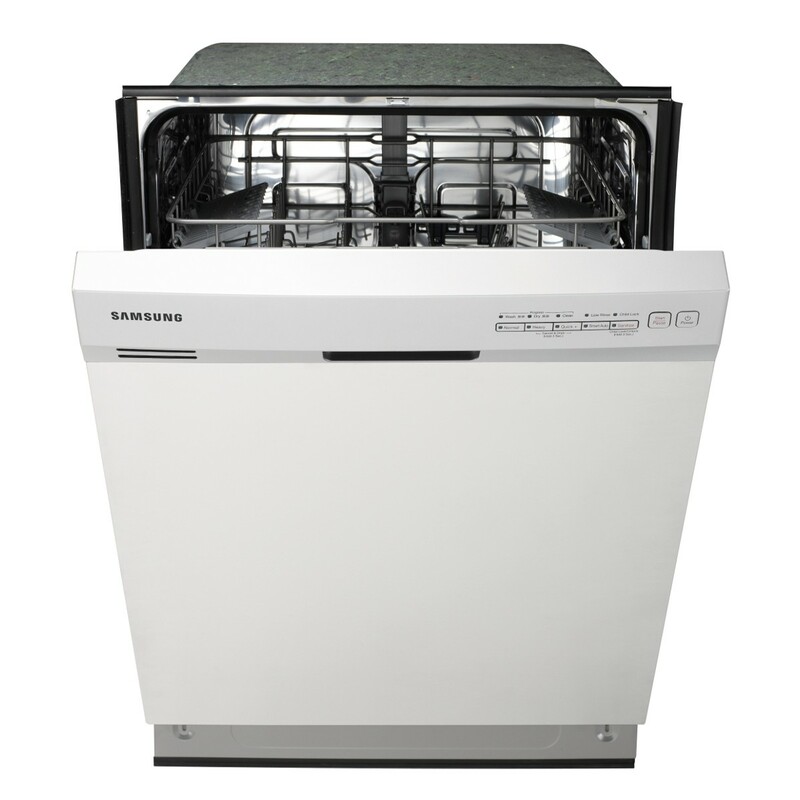 Users say that it is easy to keep this countertop dishwasher clean due to its durable stainless-steel interior. There is an auto detergent and rinse agent dispenser. This chic dishwashing unit is designed to fit under just about any type of kitchen cabinet. This unit runs quietly and has only typical noise level. It comes with the easy to read instructions. However, some user reviews mention that cycle times are long on this unit. 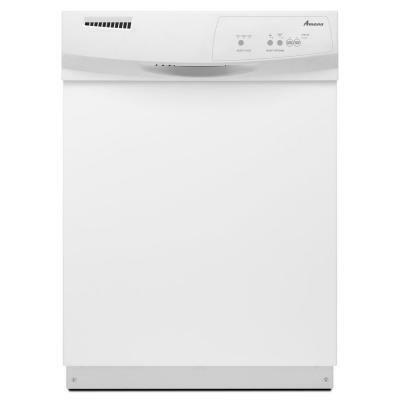 Also, because of small size of this dishwasher, it may be hard to load large dishes into the unit. 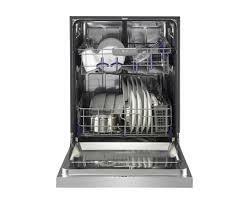 Overall, the Danby DDW611WLED Countertop Dishwasher is a good dishwashing appliance for small kitchens. It is recommended by users and holds enough dishes up to 6 place settings. It also comes with a 12-month warranty on parts and labor. Installed quickly in laundry room adjacent to kitchen. We've a small apartment and it fits in our kitchen!. 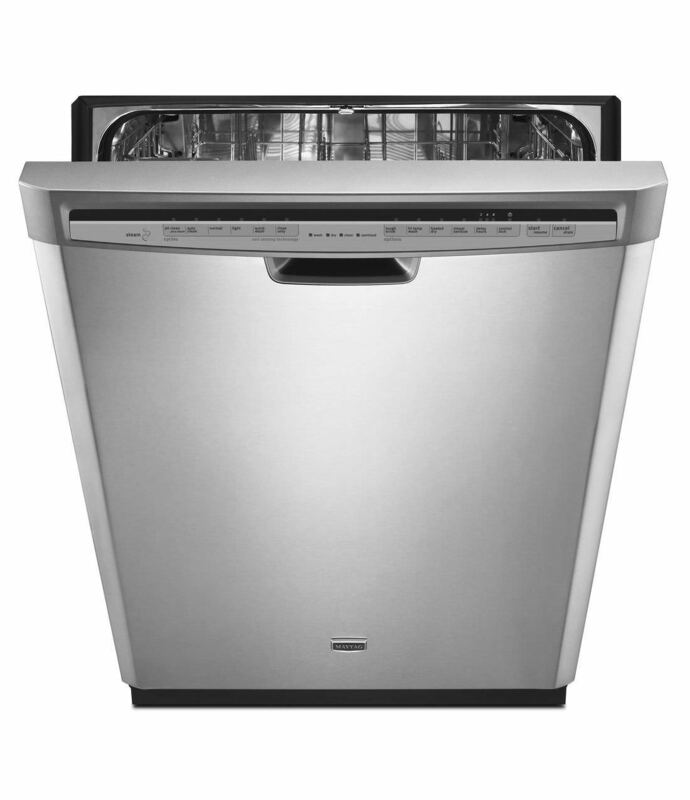 The Danby counter top dishwasher is an excellent choice for taking a load off in the kitchen. 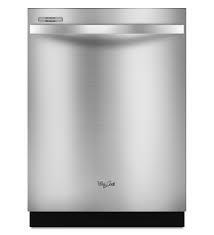 I've a small kitchen, so I need a dishwasher that won't take up much space but will do a great job. The one thing I missed in my small kitchen was a dishwasher. My solution is to get a cart (Ikea) with castors so you can roll it in to the kitchen when you need to use it, if you've a small kitchen. It's quiet and I'd highly recommend this product. Well all in all it's a great addition to the kitchen appliances,. My husband and I live in a house with a very small kitchen. Also, It takes a REALLY LONG TIME! Did the job and held up for a long time. They love it, although it takes a very long time to run through the cycle. Don't waste your time or money on Danby!. The cycle times are clearly displayed at the start of the cycle and noise level is typical. 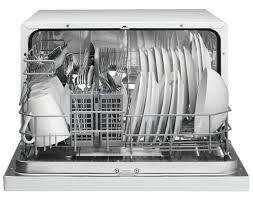 I love this dishwasher.It simplifies my life and saves me time. The package came without any damage and on time. I bought this for my bachelor son & he uses it all the time. My previous Danby recently started hanging up at various times during the cycle, which meant it needed to be attended throughout, so I got this as a replacement. Amazingly quiet and efficient counter top unit. Unit worked as advertised for almost 1 year. Just had this washer arrive two days ago.Got it hooked up in about a minute,Took tt for the test run.Very quiet,no leaks , easy to read instructions.NICE UNIT. Wash cycle ran for one minute quietly and then E4 code appeared on the screen and unit stopped working. It was cheaper to replace then repair the old unit plus the new unit has more space and digital controls. The unit was damaged in transit and Home Depot immediately replaced it. Unit looks good though and well crafted just a little on the small size. The unit works well and is easy to install, and the quick connect is compatible with the quick connect for my clothes washing machine. This unit came with a broken spray arm. It fits on the counter, works well and holds just enough dishes. Large dishes are hard to fit! This dish washer fits on my counter and has all of the required hookups. I hate doing dishes by hand! After about a week of putting the dishes in the dish washer when cooking, on the quick cycle that runs for 10 minutes, my back was feeling better. I used to hate doing the dishes now I love that it's so quick to clean up my kitchen just load the dishes hook the hose up and start it. Most dishes came out dry, just have to towel dry a couple plastic pieces. I ran it on the normal setting and 125 minutes later, my dishes were completely dry and perfectly clean! It does a excellent job of cleaning pre-rinsed dishes clean, well worth the money. I rinse the dishes before loading & open to clean sparkling dishes everytime. It doesn't get dishes clean. Even dishes with dried on food get really clean. That comes to about $2 a month for very clean dishes! It takes like two seconds to set up and gets dishes really clean. Being "clean dish" obsessive, I'm extremely pleased with it's performance! NO problems, ease of use, and most of all clean dishes!